These counties are characterized by dense homes in the Wildland Urban Interface. 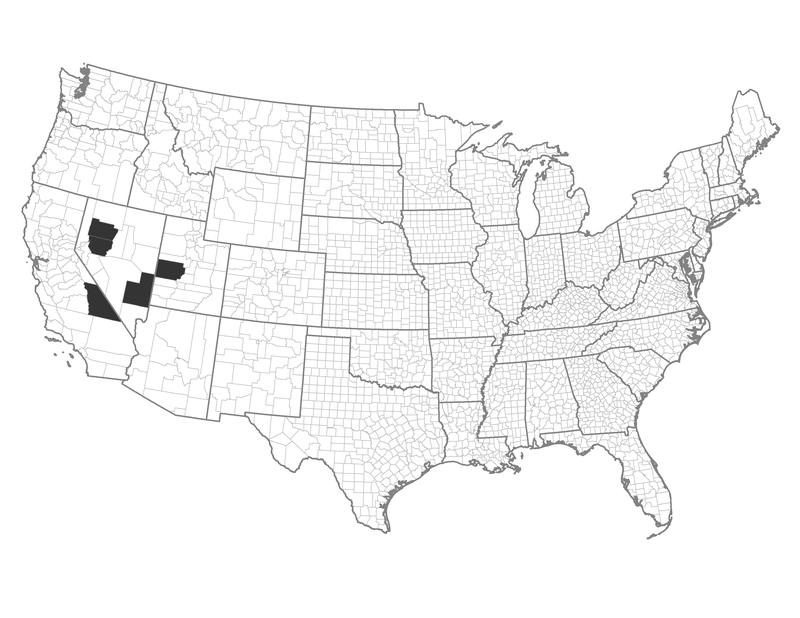 The combination consists of only five counties in Nevada, Utah and California. These areas are within Fire Regime Group V and can experience infrequent, but severe fires. Primary emphasis could be on protecting communities. Example of a Typical County — Churchill County, Nevada: Interstate 80 passes through this western Nevada county of alkali flats and isolated, sometimes forested mountain ranges. These counties may have contiguous areas that could benefit from the use of landscape-scale prescribed fire.